Since Antonia’s response, things have gotten a bit wobbly for ANZ and the other big banks in New Zealand. They are being slammed for posting grossly large annual profits, none larger than ANZ’s; and yesterday’s release of the joint FMA/RBNZ report into banking conduct in New Zealand has surprised few and angered many. My apologies for taking so long to respond…this ‘went noisy’ once the first auction sign went up on my front fence (I was always clear that this would be the catalyst for me to bring this out into the open). In the last week or so, I have been humbled and embarrassed by the amount or moral and practical support from my family and local and professional communities…it has really stretched me just keeping up with emails, messages and phone calls of moral and practical support. There’s no uncertainty about what may happen to my home. It is being forcibly auctioned by ANZ. In Taumarunui. On Thursday. At 11AM. Even putting aside (for a moment) the original lending that started all this, ANZ’s conduct in my case since this all started in November 2013 (the 11th, so five years ago today week) has not been flash. It certainly has not been what we should expect from a major banking institution, although the sad truth is that it has probably been exactly what we have come to expect from the major banks. Was ANZ also unaware of the Privacy Commissioner’s determination in 2012 that a guarantor’s interests and rights in jointly owned property used as security bring that information within the scope of ‘personal information’. This means that this information should be releasable under the Privacy Act. ANZ staff – your staff – should have known this. At the end of September, I met with ANZ in Wellington at its invitation. The stated purpose of this meeting was for ANZ to discuss the reasons for the mortgagee sale and to address any questions I may have. I was excited to finally have an opportunity to discuss these issues with ANZ. Frustratingly, ANZ was unwilling to discuss any of the reasons for the mortgagee sales beyond repeatedly assuring me that ANZ was comfortable that it had done it could and was comfortable with its position. If that is the case then I would respectfully suggest that there is something seriously wrong with ANZ’s moral compass. I travelled four hours each way, anticipating a frank and open discussion and instead only found staff who were unprepared and unable to discuss the reasons for the forced sale of my home. And this is what is so frustrating…that ANZ remains unable or unwillingly to justify its position. If ANZ has a serious contrary argument – beyond “we don’t agree” – then I want to hear it. I don’t want ANZ or anyone else to agree with me unless I’m right – and that’s also the question that I have asked friends, professional colleagues, lawyers etc and no one can show me that reverse smoking gun that undermines the position that I have put to ANZ for five years, come next Friday. If ANZ had been as willing to resolve this in 2013 as it became in 2016; if it had reduced my liability under the guarantee in 2013 as it did in 2016, both our positions would be considerably more favourable. Instead, ANZ embarked on this bizarre course of obstruction (to put it politely) in the apparent belief that it wouldn’t or couldn’t get caught out. It could have done the right thing then and now I would probably be defending it, as a bank that did the right thing, over the contents of the FMA/RBNZ report. The predicament that ANZ finds itself in now in one solely of its own making. I sympathise…to a point. I think it’s entirely likely that this situation was caused by staff from a bank (NBNZ) that no longer exists now, for whom management oversight was not as good as two banking systems merged. Certainly, I’ve found my personal banking services since NBNZ was finally subsumed totally by ANZ have been a lot better – not perfect, still enough there for me to support the FMA /RBNZ findings, but better – than there were previously. But the fact remains that staff, who ultimately belonged to ANZ, behaved recklessly in their lending processes, and avoided the obligations placed on banks in the Code…. The obligation to act fairly and reasonably, in a consistent and ethical way. The obligation to only provide credit or increase credit limits when the information available leads the bank to believe the debtor will be able to meet the terms of the credit facility. The obligation to inform any party providing security, of the debtor’s obligations when a credit facility is approved. I know that banks like ANZ are people…people who go home every night to loved ones and normal lives, people who are professional and proud to work for ANZ. From what I have seen of you in the last week, that probably you. It’s unfortunate that this situation was created over a decade ago by people who possibly don’t even work for a bank now; and that even those responsible for the actions above are only the smallest minority of ANZ’s overall staff. Harry Truman said “The buck stops here” and that’s a philosophy that resounds across the communities that I am honoured to be a member of, the community that has rallied around me at a time of difficulty. Leadership and responsibility flow from the top; regardless of where the fault may have occurred, leaders take it on the chin. And that’s pretty well where we are now. In the last week we have seen the chair of the ANZ board and the CEO of ANZ Group both speak out for a better banking culture. We have seen ANZ post an annual profit disproportionate to its market share, a profit of almost $5.5 million a day (for context, I average around $100/day, maybe a little more if I pick up some guiding work in summer). 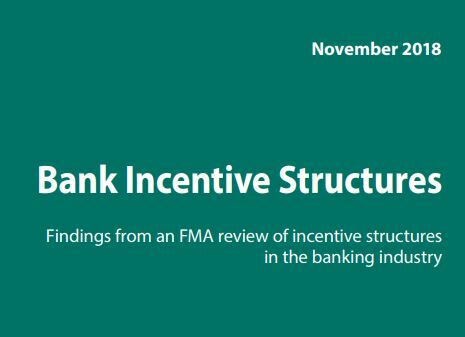 We have seen the FMA and RBNZ release a joint report that finds significant weaknesses in the governance and management of conduct risks in the major banks in New Zealand and conclude that the overall standard of banks’ approaches to identifying, managing and dealing with conduct risk needs to improve markedly. The email version didn’t of course have any pix…but who wants to look at a wall of text where avoidable…? Six was a refreshing new addition to the Lightbox line-up. Unhyped and unheralded, one evening, there it was on the menu – I may have ignored it for a while, mistaking it for The Real SEAL Team Six, a made for TV take on the 2011 bin Laden raid. I was cautious at first as most of the contemporary special operations genre seems to be Desperate Housewives with guns, even The Unit and the unlamented Ultimate Force: way too much domestic angst and not enough boots on the ground. Six didn’t disappoint on the domestic angst front but its focus remained firmly on the ‘rescue one of our own’ plotline. The ‘one’ was played by Walter Goggins and, do admit that I have watched the full Justified enough times that I was expecting Raylan Givens to amble onscreen and laconically resolve the bad guys. I like the current trend of episodic story-telling across a season: one story, one season. I’m not sure if that makes it a mini-series or not but it certainly resonates with me: beginning, middle and end. It worked with Bosch; it worked with the TV version of Shooter; and it works with Six. Each episode isn’t a standalone but roll into the next: there are only eight episodes and I was disappointed to get to the end – but only in that the next series was not ready to go (hasn’t been filmed yet ).